Tired of having fluids bouncing around in the back of your truck, buggy, and/or off-road vehicle? Our TG 2-Gallon Carrier is your solution to this problem. The TG 2-Gallon Carrier organizes and secures gallon jugs of your automotive fluids. Our TG 2-Gallon Carriers are CNC laser cut and formed out of 16 gauge steel. The latch is a topquality spring draw latch with a 200lb breaking force that features a safety catch to prevent accidental openings. Predrilled mounting holes are included so you have the option of bolting it on or welding it on to your rig. Shipped raw & ready to paint. 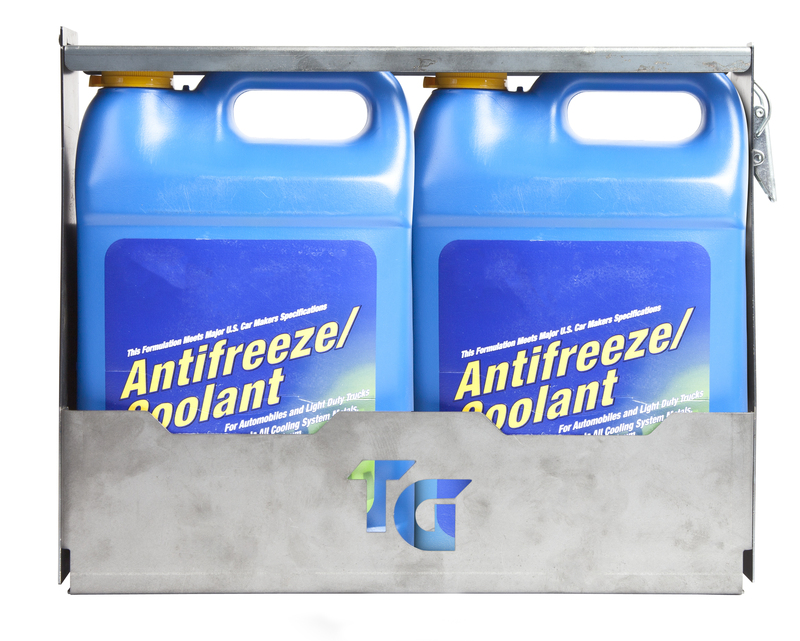 Fits most one-gallon coolant/anti-freeze, gear oil, and hydraulic fluid containers.